8 LED SOLAR LIGHTS: 8 bigger LED lights are brighter than other similar solar lights in the market. 12HRS ILLUMINATE TIME SOLAR MOTION LIGHTS: Comes with the high quality solar panel, makes the LED lamp can fully absorb sunshine in the daytime for lighting at night and illuminate 12 hours after fully charge. INTELLIGENT SENSOR MODE: With bigger and more powerful sensor ball head, it can sense motion from 26 feet distance and then bright light mode and dim light mode will change automatically by sensor activating. 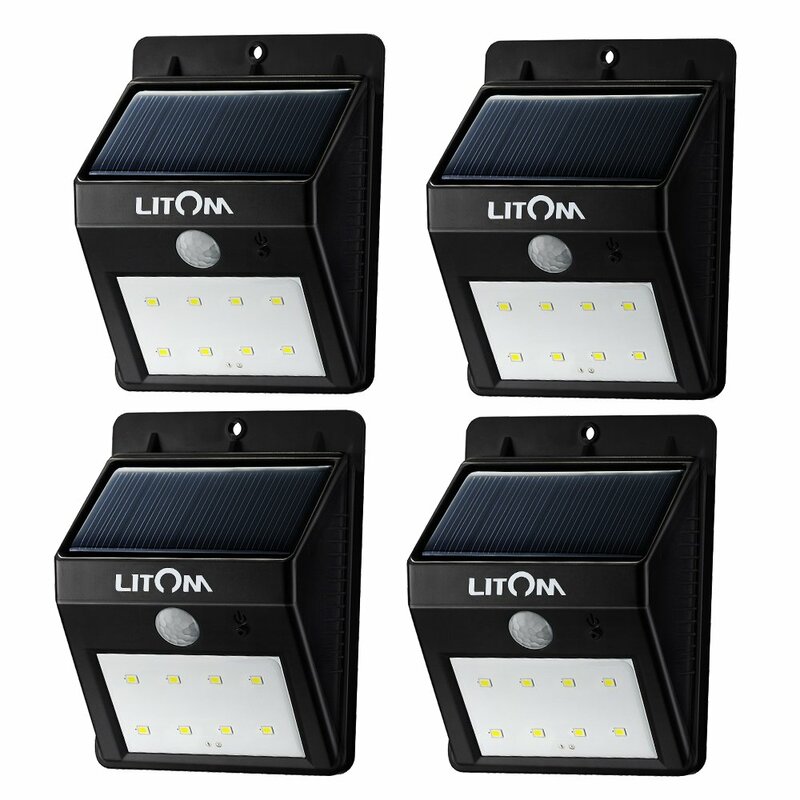 WATERPROOF SOLAR LIGHTS: Waterproof IP64 and heatproof, this light owning a durable and water resistant body and solid hard cover for withstanding sunshine, rain, snow, ice and wind. LOW ENERGY CONSUMPTION: Built-in improved frosted solar panel, allows a conversion rate of light energy into electrical energy up to 17%, which provides longer illuminating time and energy conservation.